Do your gums bleed when you brush or floss? Are they red and puffy looking? If so, you may be exhibiting the early signs of gum disease. This condition is extremely common, yet left untreated, can have dire consequences for your oral and general health. Hygiene treatments effectively improve the health of the gums, laying the foundation for a healthier mouth for years to come. If you are not regularly seeing a dental hygienist, your gums will not be as healthy as they should be and you will have a build-up of plaque (soft deposits) and tartar (hard deposits) on your teeth. A hygienist is a specialist in removing these deposits, maintaining healthy gums and teaching you to maintain a good standard of dental health. So it is important to visit a hygienist on a regular basis. Maintaining dental health has two main components — at-home dental hygiene and professional cleanings and examinations. Simple maintenance of your dental health can prevent complications such as tooth loss, as well as the need for restorative or cosmetic dentistry in the future. 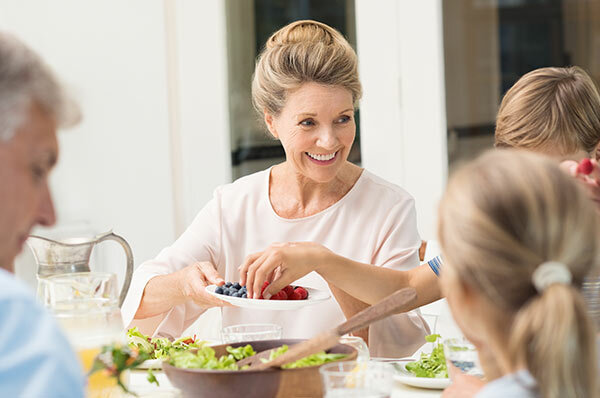 Good oral hygiene starts at home, though it needs to be supplemented by regular visits to our cosmetic and general dentistry practice at Wellsford Dental. Our dental hygienist, Sharron Scarlett is a fully trained dental health professional who treats gum diseases and help you to maintain good oral and general health. 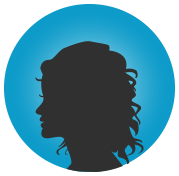 She will also educate you about how to prevent oral disease through care of your teeth and gums. Our hygienist service is an important aspect of ongoing dental care and regular visits will help prevent periodontal (gum) disease, bleeding gums and dental decay (caries). This will ensure that the foundation of your teeth (gum and bone support) is healthy and strong for good support. With good plaque control and healthy gums, there will be less bleeding, less sensitivity and a stronger foundation for your teeth, not to mention fresher and cleaner smelling breath. Proper dental hygiene will help to prevent gum disease, which is caused by the accumulation of dental plaque on the teeth. While brushing and flossing are effective ways to aid shield the teeth from decay, once dental caries has built up, a professional cleaning or treatment is already required to fix this. When plaque accumulates under and along the gum line, certain infections can emerge and this can harm the bone which secures the teeth in place as well as the gums. In this situation, infection has become so serious and as a consequence the bone may deteriorate and may result to tooth loss causing teeth to fall out or be surgically removed. The most serious form of gum problem is referred to as periodontal disease. Gum disease can also be linked to increased risk of developing a stroke, heart conditions, osteoporosis and other systemic conditions. If the gums are in poor health, the liver secretes a protein called C-Reactive protein which causes blood clotting. Your hygienist will be able to provide you with more information about the link between these systemic conditions and gum disease. If you already have diabetes or any of the above these conditions, it is especially important to maintain healthy gums. Air Flow Jet Polishing is a dental hygienist treatment that quickly and effectively removes unwanted stains on the front and back of teeth. This is a painless, fast and non-invasive method of cleaning. The procedure utilises a fine jet of compressed air, water and fine powder particles to gently and completely remove staining caused by tea, coffee, red wine and tobacco. 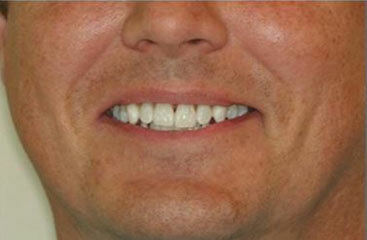 It is a gentle procedure that greatly reduces discomfort to those suffering from sensitive teeth. This highly efficient technique improves patient comfort by polishing without direct contact, pressure, heat or noise and is much superior to traditional periodontal treatments. This innovative air flow polishing technique has proven results to remove the toughest stains caused by day to day drinking and smoking. It’s also a great way to kick-start a professional whitening treatment or to maintain your whitening once you’ve had it done. Ask your hygienist for an Air Polish on your next visit. 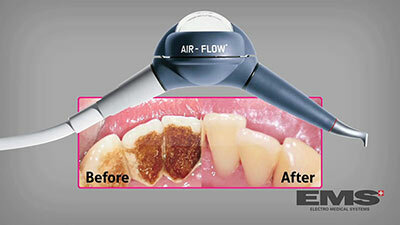 Before and After results of Air Polisher showing removal of plaque and stains. Your teeth are naturally covered with a sticky film called “plaque.” Plaque contains bacteria, and after a meal or snack containing sugar, acid is released that can attack the enamel of your teeth. Repeated attacks can cause the enamel of your teeth to break down, eventually leading to tooth decay and gum disease. You can prevent plaque buildup and keep your mouth cavity-free by brushing your teeth twice a day with fluoride toothpaste and cleaning between your teeth with dental floss at least once per day. Regular visits to your dentist for cleanings is also essential to help reduce the risk of tooth decay and gum disease. Plaque that is not removed with thorough daily brushing and flossing can eventually harden into calculus or “tartar.” This makes it more difficult to keep your teeth clean. 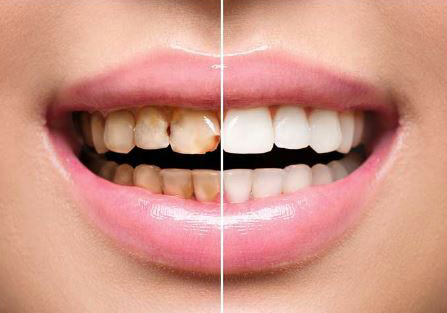 Regular visits to your dentist for cleanings is also essential to help reduce the risk of tooth loss due to tartar. When tartar collects above the gum line, your gum tissue becomes red, swollen, and may bleed easily. This is called “gingivitis,” the early stage of gum disease. Visit your dental hygienist regularly for professional cleanings and oral examination to prevent gum disease. What are some of the factors that contribute to gum disease? Gum disease treatment varies according to the stage of the disease. At its mildest stages, gingivitis can be treated by clearing plaque and tartar deposits from the gum pockets. 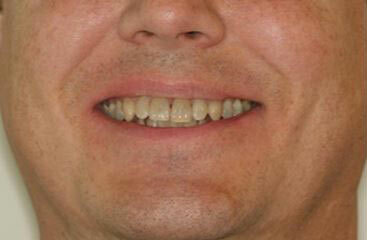 Severe gum disease, on the other hand, might require treatment that includes bone and gum grafts. If you experience tooth pain when consuming hot or cold food and drinks, there are several causes that your dentist will examine. Proper oral hygiene and a daily routine that includes brushing and flossing is the key to preventing tooth sensitivity and pain. What is the treatment for sensitive teeth? Toothpaste for sensitive teeth. Desensitizing toothpaste blocks the transmission of sensation from the tooth surface to the nerve, reducing tooth sensitivity. Fluoride gel. Applied during your dental visit, fluoride gel strengthens tooth enamel, which can reduce the transmission of sensations. 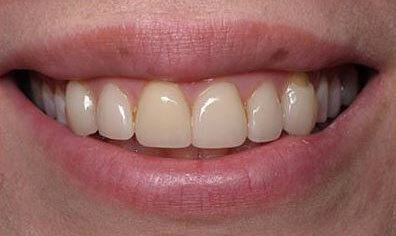 Dental crowns, inlays or bonding. These can be used to repair a flaw in your tooth that’s causing the painful sensitivity. Root canal therapy. If you experience persistent tooth pain that’s not simply caused by hot or cold food, you may need a root canal. When dental pulp, the blood vessels and nerves found within a tooth, becomes badly damaged by decay, irreversible pain and sensitivity may occur. We encourage you to read our Root Canal Therapy section for accurate information about root canal therapy. If you’re maintaining appropriate oral hygiene by brushing your teeth twice a day, flossing once per day and maintaining regular dental visits, bleeding gums should be a rare occurrence. However, if your gums bleed on a frequent basis, make an appointment with your dentist. Bleeding gums could be a sign that something else is wrong. Flossing: If you’ve never flossed your teeth on a regular basis and start a daily routine (bravo! 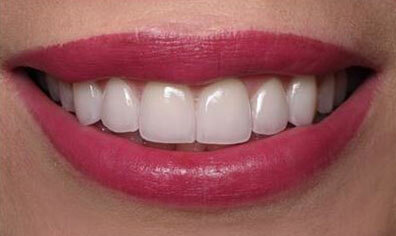 ), you may experience bleeding as your gums adjust to the regular cleanings. This bleeding typically goes away after a week or two. Your brushing technique: If you brush your teeth too hard it’s possible to cause bleeding gums. 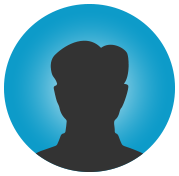 Follow the tips earlier on this page for proper brushing technique and remember to use a soft-bristled tooth brush. Gingivitis: In some cases, bleeding gums can be a sign of gingivitis, the early stage of periodontal (gum) disease. Gingivitis is not only preventable, it’s reversible, so if your gums bleed easily or bleed when you brush, consult your dentist. Pregnancy: During pregnancy some women experience bleeding gums when they brush or floss. With the condition known as “pregnancy gingivitis,” inflamed gums cause swelling and tenderness. Medications: If you’re prescribed blood thinners by your physician, these medications may cause your gums to bleed. If the bleeding doesn’t subside in a reasonable amount of time, contact your physician. What are the best dental hygiene practices during Pregnancy? When you’re pregnant, you’re more susceptible to plaque build-up, which in turn can cause gum problems. Blame it on those hormones, particularly estrogen and progesterone! Plaque build-up isn’t necessarily due to increased plaque in your mouth, but more so the fact that your body simply doesn’t fight plaque off as easily and quickly when you’re pregnant. That’s why it’s so important to have good oral hygiene. Your dental hygienist will be able to professionally remove plaque and help you set a plaque free foundation for the rest of your pregnancy. The best dental hygiene practices for pregnancy are the same best dental hygiene practices for when you’re not pregnant. Brushing twice a day, flossing daily and visiting your dentist should already be a part of your lifestyle. Brush your teeth at least twice a day with fluoride toothpaste. Increasing it to three times a day will help fight plaque even more. If your gums are swollen and tender due to pregnancy gingivitis, try switching to a softer toothbrush. Floss between your teeth daily. Visit your dentist and hygienist regularly for a professional cleaning and check-up. If you struggle with morning sickness and are vomiting, make sure to rinse your mouth out with water after each vomiting episode to rinse away the stomach acids that have made contact with your teeth. Eat a healthy diet for gums, which includes calcium, B12 and vitamin C.